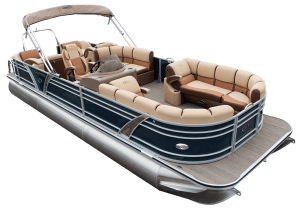 The VP Tower Series is the epitome of sport luxury with a perfect balance of pulling power, bow to stern style and best-in-class components. 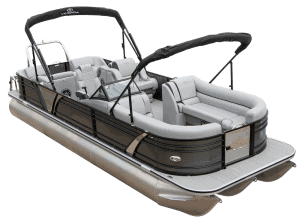 Relax is a name chosen to perfectly describe what this series of boats were designed to do for you. Whether it’s just you or a dozen people, just Relax. Veranda’s Fishing Series is designed with the family fisherman in mind to give you ample room to spread out. The Veranda difference is our patented all-aluminum, all-welded, interlocking deck system. 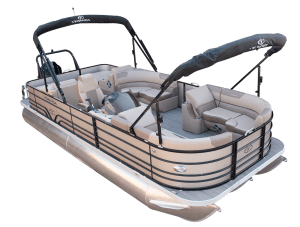 It’s the most durable platform in the industry, which provides enhanced performance and is built for a lifetime of enjoyment! 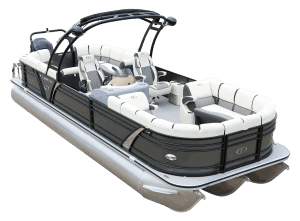 Veranda Luxury Pontoons are built to last a lifetime. 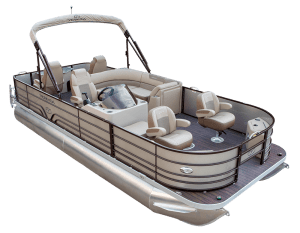 Each model features an all aluminum, all welded interlocking deck system making it the most durable hull construction in the industry. Every Veranda pontoon is NMMA certified, meeting or exceeding strict quality and safety standards of the U.S. Coast Guard and the American Boat & Yacht Council.